ALS Society of BC shared a post. The 17th Annual ALS Sporting Clay Challenge is less than two weeks away! 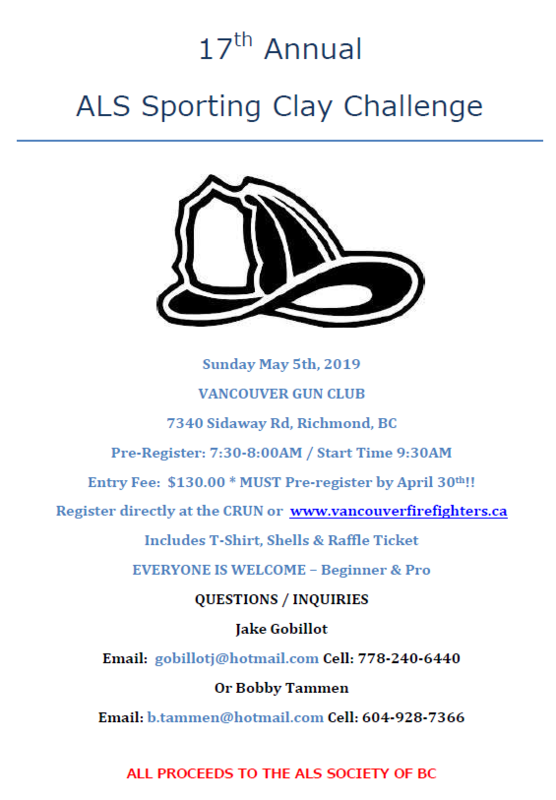 Register today to secure your spot. This Friday, Mount Arrowsmith Brewing Company in Parksville will be hosting another fundraiser in support of the Mid Island Walk to End ALS. See pictures for more details. Last Friday, Charelli's Grilled Cheese Day raised over $2,000! Thank you to everyone who supported! June is ALS Awareness Month in BC. 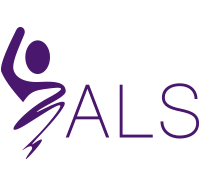 Visit alsbc.ca for more information on all the fundraising events happening in June, including the Walks to End ALS! ALS Society of BC shared a link. MasTec Canada (Fort St. John) will be hosting another fundraiser for the ALS Society of BC. See the photo below for more details! The Victoria Living with ALS Support Group celebrated St. Patrick’s Day yesterday! In 2018, Ishay Levin, a 12 year old student of the Talmud Torah Elementary School raised $1,123.93 for the ALS Society of BC. For his grade 7 Mitzvah of Valuing Philanthropy (MVP) project Ishay chose to do his project on ALS Society of BC. Ishay was presented with the Leader of Tomorrow award in our office, surrounded by his mother and staff of ALS BC. The Leader of Tomorrow Award recognizes youth and young adults under the age of 25 who are making a difference in the lives of those living with ALS through their volunteer efforts. “I wanted to make a lasting impact, and not just a project I would present and walk away from,” said Ishay during his visit to ALS BC office yesterday. He hopes to raise awareness and funds, to help develop a cure for ALS. Thank you Ishay for your donation and support. You are an inspiration to us all! This morning, the second part in the four part series “Living with ALS” aired on the Global BC Morning News. ALS Society of BC Lifetime Directors; Dr. Charles Krieger and Dr. Andrew Eisen were interviewed. Thank you to both! Dr. Mahsa Soraya (3rd from left) and her team at Angel Care Dentistry, Delta present Rena Mendoza (centre) and Wendy Toyer (far right) of the ALS Society of BC with the proceeds from All you need is Love – A Royal Gala. $21,270 was raised to support the ALS Society of BC. Nine other charities also benefited. Thank you! Enter today for your chance to win one roundtrip flight for two guests! 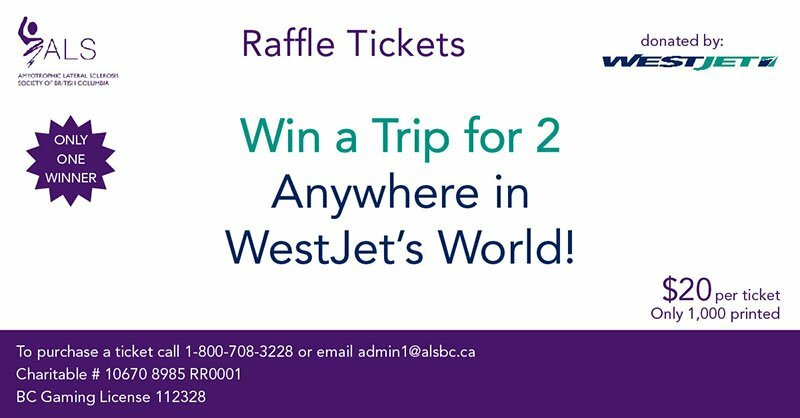 WestJet vouchers are valid until June 22, 2020. Draw will take place at Riverside Park, 100 Lorne St, Kamloops, BC V2C 3K6 on Saturday, June 22, 2019 at 11:30AM. Some restrictions may apply. Employees and direct family members of the ALS Society of BC are not eligible. Ticket purchasers must be 19 years of age or older, and located in BC at the time of purchase. Winners consent to the release of their names by licensee. ALS Society of BC updated their cover photo.